Too many storm damaged roofs! The Roof Protects The Building. The only aerodynamically designed roof edging proven to reduce roof damaging wind forces by as much as 50% using vortex suppression technology! Reducing the cause of damage at the source! AeroEdge® suppresses the formation of vortices thus significantly reducing wind uplift forces at roof perimeters and corners where most roof storm damage starts. 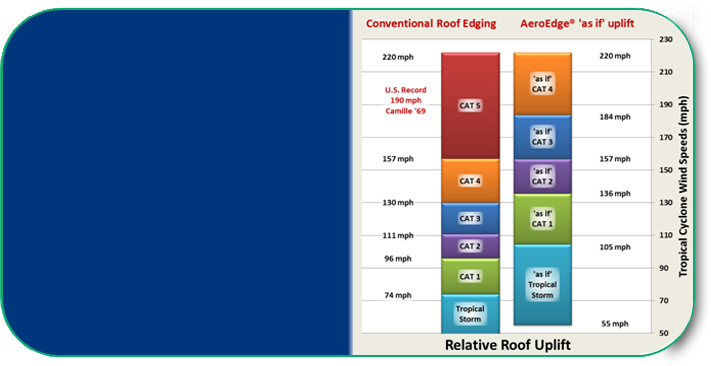 AeroEdge® significantly reduces wind uplift forces on buildings effectively increasing a roof's ability to withstand higher wind speeds before roofing damage initiates. How Good is AeroEdge® ? Significantly better than conventional edging! AeroEdge® significantly reduces uplift forces across all wind speeds and all building heights. AeroEdge® reduces Cat 4 uplift force down to 'as if' a Cat 2. Full scale testing at Florida International University / Renaissance Re's original Wall of Wind 6 turbo prop array, provided additional visual proof that roofing and ensuing water intrusion can be significantly reduced when uplift forces are suppressed. These tests confirmed the source of limited roofing damage from Hurricane Fabian (Cat 3) due to the similar vortex suppressing rain collectors common on top of Bermudian roofs. These full scale tests used increasing wind speeds to demonstrate the substantial roofing protection provided by AeroEdge®. What is AeroEdge®? --- How does AeroEdge® work? --- Just how good is AeroEdge®? e-mail us or call (203) 222-6025. Just How Good is AeroEdge®? AeroEdge® is significantly better than conventional edging. 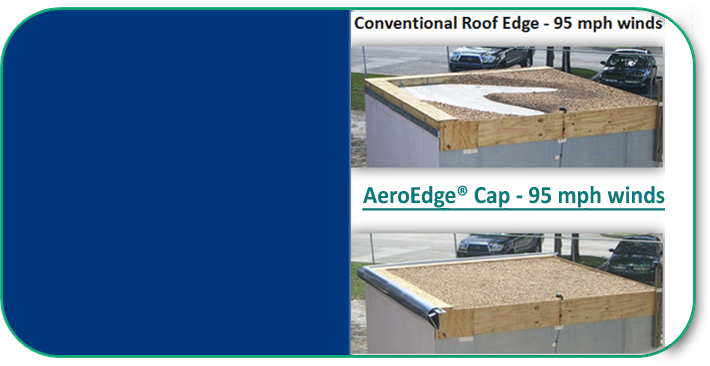 AeroEdge significantly reduces uplift across all wind speeds and all building heights. Conventional roof edging only provides waterproofing and actually creates unnecessary uplift by promoting the formation of edge vortices (see 'How AeroEdge® Works’ for more details). Robust wind tunnel testing proved that AeroEdge® reduces max. 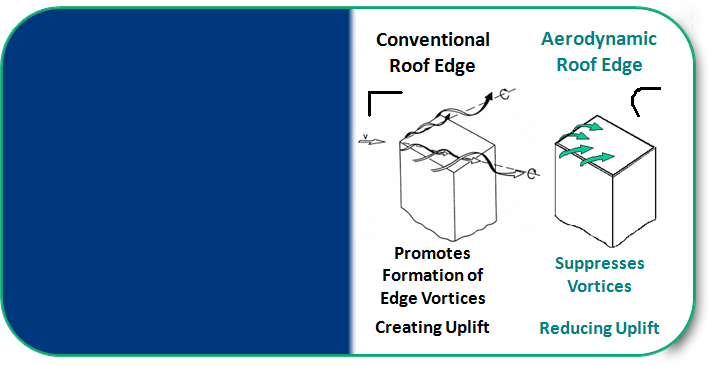 wind uplift forces by 50% (see ‘AeroEdge® Reduces Roof Uplift’). 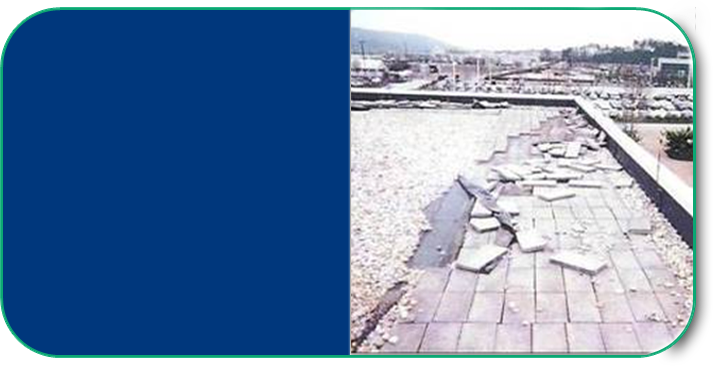 Videos of full scale testing, further demonstrate the vastly improved resiliency of roofs with AeroEdge® (see ‘Reducing Uplift, Reduces Damage’). Example: AeroEdge® reduces the uplift from max. CAT 4 winds (157 mph) down to the uplift ‘as if’ only max. CAT 2 winds (111 mph)! Example wind field maps: Below are wind field maps of 2004 Hurricane Charlie generated from NOAA data. The maps show the approximate extent of max. wind speeds ranging from tropical storm to hurricane CAT 4 just prior to landfall. Although a major hurricane, Charley’s relatively small diameter confined the areas of max. winds to a narrow swath as it moved inland and the winds began to subside. Pixelsparadise.com is not affiliated with the Joomla! Project.